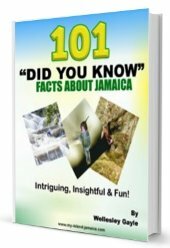 If you are planning your next Jamaican holiday to the laid-back resort town of Negril, and is looking for accommodations that are truly unique where you can truly get away from it all; well the charming Caves Hotel and Spa may very well be just what you're looking for. Offering you a one-of-a-kind stay, this five-star, all-inclusive resort is the perfect retreat. Nestled amongst Negril's scenic limestone cliffs, this magnificent ten-acre property puts you right on the island's edge, so you can fully enjoy the serenity and beauty of your surroundings. Admire the caves, intricately carved by nature, or if you are more adventuresome, take a refreshing dive off the cliff into the sparkling sea below! Guests relax in their own private cliff-side cottages, while enjoying all the little extras that will make their stay an even more pleasant one. Get pampered in the luxurious spa, have a romantic, candlelit dinner inside a cave, or soak away your cares in the Jacuzzi. Perched on its cliff-top citadel, The Caves offers a phenomenal view and and so much more. Guests of The Caves can choose to stay in a one-bedroom cottage, two-bedroom cottage, or for larger groups, there is a villa. These delightful cottages are painted in cheerful, bright colours and have traditional thatched roofs, but inside they are anything but rustic; tastefully furnished each in their own unique style. Nine one-bedroom cottages are available, some are ground level and others are located on the upper level, but all offer privacy, comfort, and breathtaking views. There are two cottages with two bedrooms, one on each floor, and also a kitchenette. The deluxe villa is great for family groups, and provides the ultimate in privacy, tucked away in the lush foliage of the resort's “jungle”. It has three bedrooms, each with its own attached bathroom, a fully equipped kitchen, private parking area, and its very own swimming pool. There is a separate cottage, with its own bathroom and kitchenette, to provide even more space. Those renting the villa have the option of staying on an all-inclusive basis, or accommodations only. 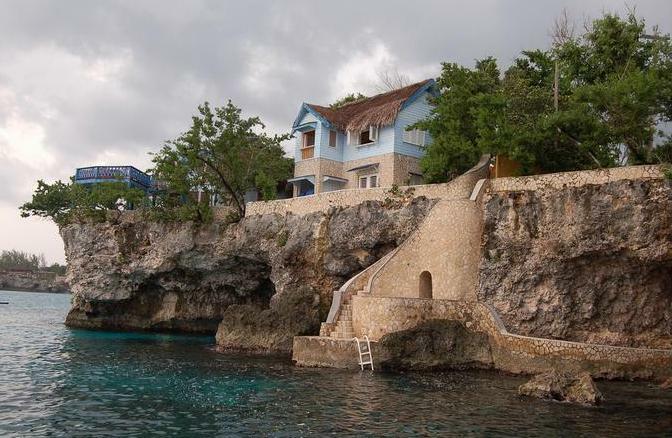 Although it has the feel of a secluded, island retreat, The Caves is very conveniently located in close proximity to Negril's famous Seven Mile Beach and the town's lively centre. On the property, you will find a cliff-side salt water swimming pool, Jacuzzi, and sauna, if cliff-diving is not your thing. Take a stroll along the stone pathways which meander through the gorgeous, tropical gardens throughout the property and relax by the pool, soaking up some rays, or sipping on a delicious cocktail or some Jamaican rum at the poolside bar. You will feel like king or queen for a day at the The Caves Aveda Concept Spa, where you can enjoy a variety of soothing and sensuous treatments such as massage, body wraps, facials, manicure/pedicure, and hair services. The spa is open daily, but a reservation is required and these treatments are not included in the all-inclusive fee. Dining at The Caves is truly something to look forward to, and it is certain to impress even the fussiest culinary connoisseur with its decadent menu of gourmet delights. Meals are included at this all-inclusive resort hotel, as are beverages. 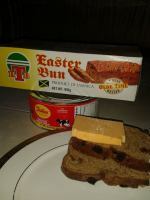 A varied assortment of delectable entrees and desserts are offered here as well as a generous selection of fine wines, liquors, beers, and of course The Caves' own signature cocktail creations and some of the island's best rum. 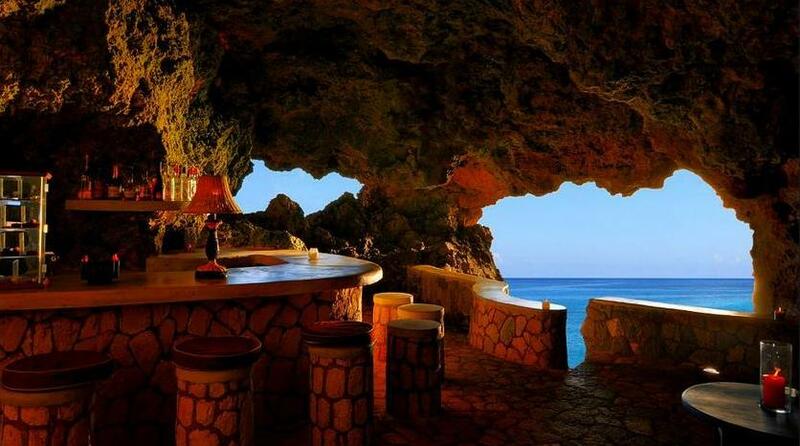 Drop in and enjoy the warm ambiance of the Blackwell Rum Bar, in its stone grotto, or arrange a romantic meal by candlelight in one of the caves for a unique and memorable dining experience. You can also choose to enjoy your meals with a fantastic view of the Caribbean Sea at one of the two outdoor dining gazebos. Negril is about an hour and a half away by car from Sangster International Airport in Montego Bay. You may also contact them via this link to get more information or make a reservation.